Lynden, WA (4/23/2013) – Round 4 of the 2013 WORCS Season rolled to Sand Hollow SVRA in Hurricane, Utah and although this race wouldn’t feature an MX course — the almost 70 racers knew it wasn’t going to be any less brutal. With perfect 80 weather, 12 miles of whooped out sand, nasty rocks littering the course — this was more desert than any race on the typical WORCS schedule. Week in week out, the Holz Team has been at the front of the pack and on top of the box. This weekend was no different. Holz racers kept the throttle down on the 2013 season and posted wins in the ultra-competitive SXS Pro Production and SXS Production 700. All in all they took home 4 podium spots. When it comes to UTV Racing right now, the WORCS SXS Pro Production class is the top of the heap. With a starting line stacked with 22 Pro drivers, all eyes were on points leader Beau Baron in the #549 HRP/Polaris/Maxxis RZR XP 900 and the always entertaining #37 Walker Evans/Polaris/Loanmart/HRP of RJ Anderson who has struggled to post his first win of the year. From the second row, RJ knew it was going to take hard driving to get to the front but enough restraint to not wreck a car, and that’s exactly what he did. Posting the fastest lap by over a minute (28.00.837) RJ found redemption at round #4. By finishing on the back bumper of Ryan Piplic, he took the overall on corrected time. Beau got tangled up early on, but still managed a third place finish. Looking to continue his winning streak in SXS Production 1000, Mitch Guthrie, Jr. blasted off the start in the #751 Guthrie Racing/HRP Polaris RZR XP 900. What he hadn’t planned on was hitting a 5’ wide and 2’ deep g-out. Suffering a violent impact through the wheel that broke his thumb on one hand and a finger on the other, he gritted his teeth and finished with an unbelievable fourth place finish. Picking up where he left off last round, David Haagsma took his #422 Curtis Sparks powered, Holz equipped Polaris RZR 570 back to the podium, scoring his third win in a row in SxS Production 700. Teammate Michael Bunyea posted the fastest lap (29:34.007) en route to claiming second spot. “These Holz-equipped Polaris RZRs and our team of drivers are the real deal, we can’t be more proud of them. 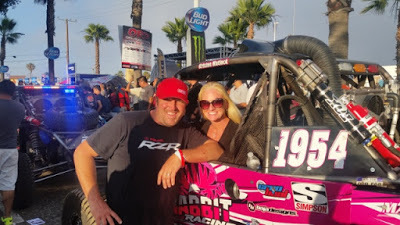 Sand, mud, moto it’s amazing to see what these cars are capable of and to watch the determination of our drivers and what they can make ‘em do — that’s what makes the long hours worth it.” said Mark Holz. After 4 four rounds, Holz drivers have the put their Polaris RZRs in the points lead in three classes: SXS Pro Production (Beau Baron), SXS Production 1000 (Mitch Guthrie, Jr.) and SXS Production 700 (Michael Bunyea). The Coastal GNCC team of Scott Kiger posted a 4th place finish at the Big Buck GNCC in Union, South Carolina. Midway through lap 1, Kiger clipped a tree and flipped over on his top. He and his co-driver got out, righted the machine, and took off in hot pursuit of the lead pack. Kiger steadily worked his way back into the race and finished strong. 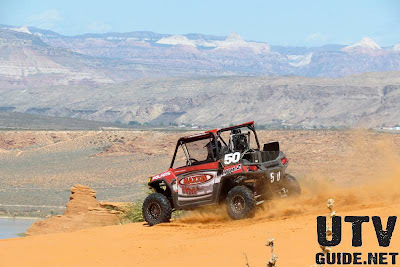 Next up the HRP UTV Racers will be ready to do battle for next round of WORCS Series May 11th in Taft, CA, the Coastal GNCC team will be ready for the John Penton in Millfield, OH on June 1st, while Mark Holz and Scott Kiger’s Coastal/Holz RZR XP will compete at the Best in the Desert Silver State 300 on May 5th. About Holz RacingFor 17 years, Holz Racing Products has been building the highest quality, best performing suspensions and chassis components available. Everyone says “race-proven.” We Live it. 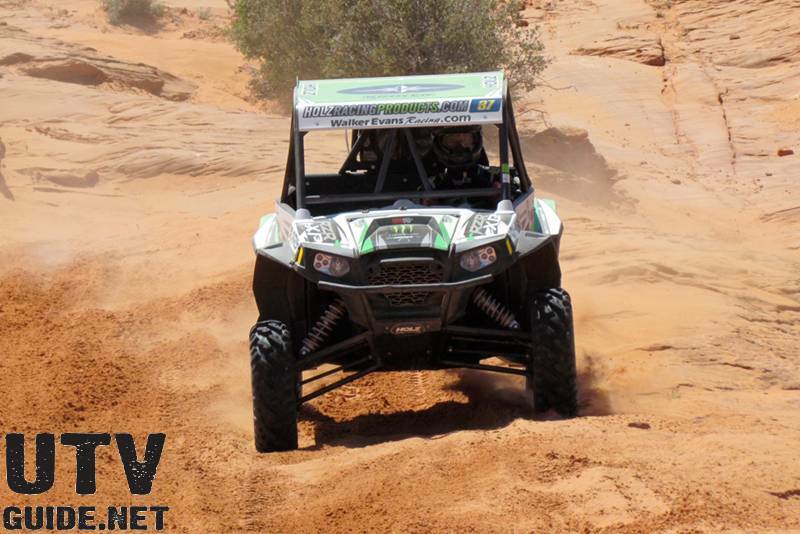 From WORCS, desert to short-course, Holz Racing Products are developed and proven in the most grueling applications. What we learn out there is built into our 2013 UTV product line. Exacting tolerances, OEM-like fit, durability and performance engineered right into every part. It all stems from our overly simple design philosophy – build the best performing, most durable products in the industry. We’ve earned our reputation one year and one win at a time. We strive to keep all our parts in stock and ship everything as quick as possible to keep you riding, not waiting for the delivery man. Visit our website to see our full line of Can-Am Commander and Polaris RZR parts. Holz Racing Products… Engineered to Win.